Hitman includes a free annual termite check as a part of Our Complete Package. We do this because it’s imperative that you have your home checked at least once every 12 months. Termites cause a lot of damage in a short period of time. 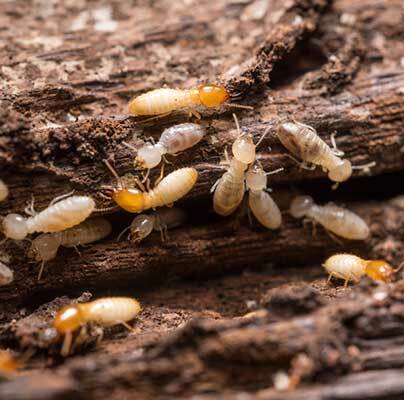 Although pests can be extremely irritating termites are deadly to your home. About 18 years ago we decided to include this free check as part of our annual pest service and is a big reason for why our clients use us every year. 3. It is a very intrusive method of treatment. The technicians will thoroughly check your home for live termites and termite damage which is evidence of past activity. They will also advise you on how to make your home less attractive to termites so that the chances of a termite infestation are minimised. All Termite work and checks are done by Hitman Termites Pty Ltd (BSA 1129193) or a BSA licenced Hitman pest technician. We now use a monitoring program that we have improved continuously over the past 18 years. The Hitman approach of inspecting your home anywhere between 5 and 10 times in the first year ensures the absolute success of the program. This approach is unheard of in our industry and yet we have been doing this for 15 years. After the first 12 months you have the option to continue the Hitman’s ongoing management of your home at an affordable cost. It is impossible to eradicate termites . It’s a matter of effective management and that only comes with constant monitoring. All Termite work and checks are done by Hitman Termites Pty Ltd (BSA 1129193) or a BSA licenced Hitman pest technician.